Posted by David Lazo on Monday, January 12, 2015 in Application Process, File Reading Explained, International Students, Merit Scholarships, Mid-Year Reports, The College Essay. I firmly believe that there is no such thing as a stupid question. However, there are commonly asked questions that deserve quick answers. In this spirit, I polled my colleagues to see what you were asking when you email, call, or speak with us regarding your Vanderbilt application. Here are some questions (and answers!) that I think might be of help to you. What is a MyAppVU account? In order to monitor which required application documents are missing, we ask you to create a MyAppVU account. 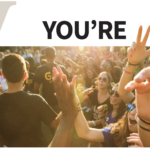 In fact, in order to learn of your admissions decision, you will need to log into your MyAppVU account. Details on creating a MyAppVU account are included in our application confirmation email. Please read through our instructions very carefully. Remember we can only confirm receipt of required documents; supplemental pieces sent to our office cannot be confirmed through your MyAppVU. I know I submitted (name your required document here). Why does it still show as incomplete on my MyAppVU checklist? Remember patience is a virtue. I am astonished at how quickly our office can post items to your application file, but it does take some time and manpower to do so. We recommend that you allow at least 72 hours for required pieces to be posted to your MyAppVU checklist. If you are concerned after 3 business days, send a quick email to your admissions counselor and we will be happy to help you out. May my counselor still send in required materials, such as high school transcripts, letters of recommendation (Teacher Evaluations), etc. even if the deadline has passed? Bien sûr – of course! Your teachers and counselors deserve a holiday break and they may be able just now to send out your required materials. Our practice is to work individually with students and counselors to help complete your application in time for our review. Be sure to personally thank them for their time and effort on your behalf! I did not self-report any standardized test scores on the Common Application or Universal College Application. Should I take any further steps? So long as we have either your SAT or ACT (with writing) scores sent through the appropriate testing agency, your application will be fine. If you would like us to know about your strong SAT Subject Test scores, Advanced Placement (AP), and/or International Baccalaureate (IB) scores, please send your admissions counselor those scores via email if you did not report them on the Common Application or Universal College Application. May I submit an art supplement/writing sample/research abstract/resume to enhance my application? 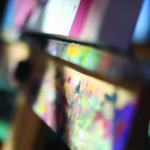 Unfortunately, we cannot evaluate art supplements (CDs, portfolios, etc.) alongside your application. Please save yourself a headache, postage, and time and refrain from sending us any such supplements. If you would like to submit an additional writing sample, research abstract, or resume, keep in mind one important fact about the admissions process in general: more is not better – better is better. Place emphasis on the quality of your work, not how many pages you can fill with extraneous information. In other words, it is best to keep any additional writing samples and the like to no more than two pages. I remind you that these supplemental items rarely make a compelling impact on an applicant’s chances of admission. Our emphasis and attention always defaults to what we required of you (e.g. your Common Application or Universal College Application; testing, recommendations, your essays), before looking at any supplemental pieces of information. If I feel compelled to send in a writing sample, research abstract, and resume, how do I go about doing so? Email is the quickest way to do so. In your email to your admissions counselor, be sure to include your first and last name as it appears on your application, as well as your high school. You can also mail your documents to our mailing address or fax them at (615) 343-7765. What should I do if my MyAppVU checklist says I need to submit a copy of my Green Card, but I included it in my application? Email your admissions counselor to double check that we do indeed have a copy of your Green Card. If your counselor says we do not, do not worry, simply send us a pdf copy of your Green Card and we’ll take care of your checklist item. My Mid-Year Report is not available until the end of January. May I still send this information in to be considered with my application? We do not require the Mid-Year Report for our evaluation process. However, if you feel that your application will be strengthened with grades from your first term of your senior year, then please have it sent to our office. The deadline to apply for first-year admission has passed, but can I still apply? It is important to meet deadlines, but there may be circumstances that prevented you from meeting our deadline. It is best to direct this question to your admissions counselor for further advice and guidance. Vanderbilt has some amazing signature merit scholarships. Can I still apply for them? No, the deadlines have passed for all merit scholarship applications. I have a question about my merit scholarship application, whom should I contact? 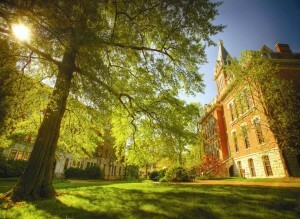 Questions surrounding your merit scholarship application should be directed to scholarships@vanderbilt.edu. I am sitting for a standardized test (e.g. SAT, ACT, TOEFL, etc.) in January or February. May I send those scores to be considered with my application? Given that you are sitting the tests after our application deadline, there is no guarantee that these scores will make it in time to render an admissions decision on your application. You are welcome to have the scores sent to our office, but we cannot promise they will be considered in the application review. If you have questions about this, contact your admissions counselor. I sent my SAT (or ACT) test scores to you. Why does my MyAppVU account still say you are missing them? If you just placed the request to send your test scores to us, please note that it may take upwards of three weeks before they arrive, are processed, and matched appropriately with your application. If you spelled your name any differently than the spelling used in your Common Application (or Universal College Application), you may want to alert your admissions counselor as this may significantly delay your test score delivery to your application file. I sent my SAT Subject Tests (AP and IB) scores to you, but I do not see them on my MyAppVU portal. Do you have them? If you had them sent to us, then we have them. 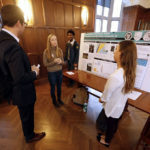 Unfortunately, since SAT Subject Tests, AP, and IB test results are optional in Vanderbilt’s admissions process, we do not display them on your MyAppVU portal. Only required documents for admission will show up as outstanding should they be missing from your application file. 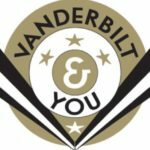 Do I need to complete an interview for Vanderbilt’s admissions process? No, in fact our interview process is completely optional. Should an alumni in your area be available to interview, you should follow the procedures to sign up for an interview directly through your MyAppVU portal. I want to complete an interview, but there are no interviewers in my area. May I make an alternative arrangement? No. Unfortunately, we do not have alumni interviewers in all areas. But don’t worry, you aren’t at a disadvantage in our process if you don’t complete an interview. Are Skype and other internet-friendly media interviews available for students? No. Currently our interview process is strictly conducted in-person through a Vanderbilt alumnus. Rumor has it that interviews significantly increase my chances at admission, is this true? No. Remember that in our admission process the alumni interview is an option, not a requirement. Students who do not complete an interview are not at a disadvantage in our process. Please consult your MyAppVU for alumni interview availability. I have questions surrounding the application requirements for applying for financial aid. Whom should I contact? First, consult the Financial Aid website. If your questions aren’t answered, our colleagues in the Office of Student Financial Aid will be glad to assist you. They can be reached at finaid@vanderbilt.edu or by calling them Monday through Friday, 8 a.m. to 5 p.m. CST at (800) 288-0204. I would like to apply for financial aid – what are the application requirements? 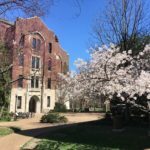 The Office of Student Financial Aid’s website has an extensive explanation of what one must submit in order to apply for financial aid at Vanderbilt. I am an international applicant who wishes to change my financial aid status. What should I do? Please email your admissions counselor to change your financial aid status.